Within 250 miles of West Bend, WI. 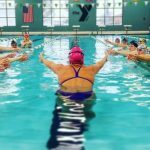 At this high performance swim clinic, there will be one session for each age group focusing on starts and backstroke starts and a session for all swimmers focusing on flip turns and open turns. Olympic gold medalist Nick Thoman will teach your swimmer how to maximize their speed at these key points in a race and how to maintain that momentum for longer. Nick Thoman will lead three sessions on October 7th. Sign up for 1 or both sessions for your swimmer’s age group! The start is your opportunity to cover as much ground as possible in a very short period of time, with great efficiency and momentum heading into your underwater kicking and breakout. There are countless intricacies to performing a start and you only get better with practice. Olympic gold medalist Nick Thoman will share his experience on how he found time to practice and improve his start both in and out of the water and some of his most effective strategies to execute this explosive and athletic movement. CHAMPION MINDSET: Get inside the mind of an Olympic gold medalist! Learn his strategies for goal setting, visualization, and pre-race rituals that have helped him to become one of the best swimmers in the world. Most age group swimmers add in extra movements on their open and flip turns that slow them down and prevent them from carrying their momentum through the turn! 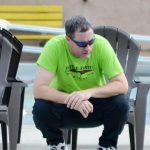 Even at Olympic Trials we see many very fast swimmers who miss making finals and even the Olympic team because of their turns! The turn is an opportunity for a swimmer to actually GAIN MOMENTUM, when in fact most swimmers actually slow down. At both of these sessions, Olympic gold medalist Nick Thoman, will be in the water teaching your swimmer how to improve their turns so that they can drop time!